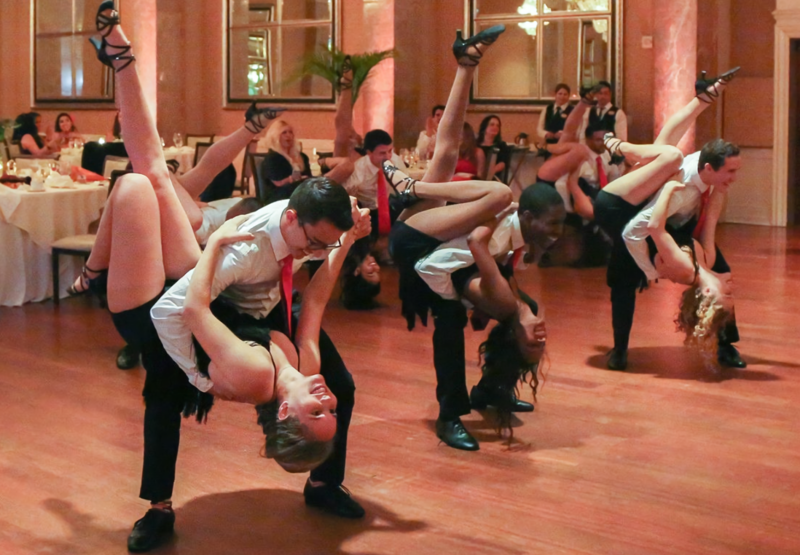 SalsaCraze is one of the largest student organizations at the University of Miami. Membership is open to the public and our goal is to teach people of any age and skill level how to dance salsa. We welcome everyone who wants to dance and have fun! Click here to fill out our online class registration form. SalsaCraze classes are taught in beginners, intermediate, and advanced levels in Rueda de Casino (Cuban) style salsa. We also offer workshops on LA style salsa and Bachata. Click here to view our syllabus. Your first class with us is free! Membership dues are $25 per semester following the University of Miami’s academic calendar. This provides access to all lessons and events throughout the semester. 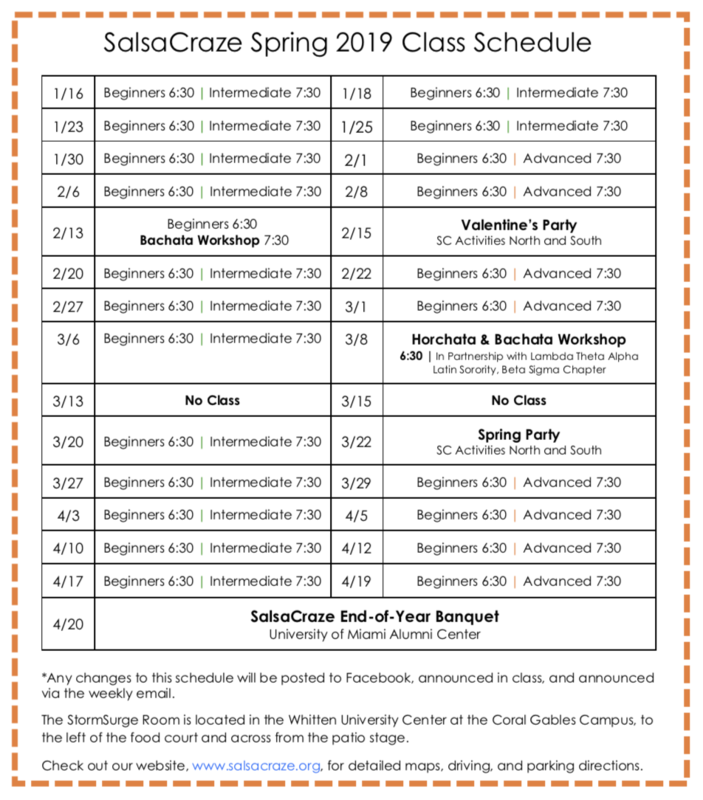 SalsaCraze lessons are located in the StormSurge Room near the foodcourt (next to Subway) on the University of Miami’s Coral Gables campus. Click here to access a campus map. Classes are taught Wednesdays and Fridays at 6:30pm. Click here to access the Spring 2019 class schedule. Our Facebook group is a great way to stay updated on classes and events. Check out our Youtube page, where you can see videos from previous SalsaCraze banquets and performances. Please email us at salsacraze@gmail.com with any inquiries and we will respond as soon as possible.